Today’s consumer is placing greater value on the quality, longevity, and safety of their new home. Key issues in the homeowner’s mind include increased safety in fire and severe weather, minimizing termite damage, and the increased use of recycled materials. Some of steel’s most apparent benefits touch on each of these key issues. Fire safety, among them, is top-of-mind for many homeowners who must rebuild due to common house fires, resulting in thousands of deaths and injuries each year. According to the recently published National Fire Protection Association (NFPA) Survey, there were 401,000 house fires in 2002, resulting in 2,670 deaths, 14,050 injuries, and more than $6 billion in property loss. That equates with a house fire every 79 seconds. On average, structural members or framing, rank third as the first-ignited material in home fires. And fuel contributed by wood framing can propagate fires that start elsewhere in the structure. Steel does not contribute fuel to a fire. A fire that does start in a steel-framed home is less likely to spread from the area of origin than one starting in a wood-framed home. 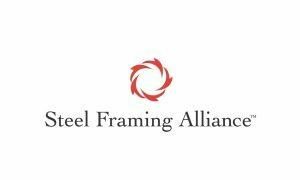 All of this tragic loss, due to fires that ignite in framing, as well as those in which the wood framing contributes to the fire’s spread, can be overcome by the use of steel framing.